The most basic of the literary elements of “The Giver" is the plot. “The Giver" is the story of a young boy named Jonas who lives in a dystopian society in which there is very little pain or emotion. Jonas is named the new Receiver of Memories, and he becomes the apprentice of The Giver, who passes along communal memories filled with both pain and pleasure. The setting of “The Giver" is a dystopian, futuristic world in which war, pain and emotion are foreign concepts. Families (or family units) consist of two parents and two children, both of whom were birthed by Birthmothers who would never see them again. When people age or become ill, they are released – a word that Jonas later realizes is a euphemism for killed. The two main characters in the book are Jonas and The Giver. Jonas is an intelligent young 11 year old who is willing to think outside of his community’s norms. The Giver is patient and wise, and he helps Jonas to absorb the memories and to choose which path he will take. The point of view of the novel is third-person, subjective. This means that although the story is told as if by an outside observer (refraining from using first person pronouns, for example), the narrator still describes Jonas’s thoughts and emotions. The reader learns about the events in the story through Jonas’s perceptions, which enables the reader to learn about various hidden aspects of the dystopian society along with him. There are several major conflicts in the novel. One “man vs. nature" conflict is depicted by the way in which society tries to control or overcome the forces of nature. They do this by controlling life and death, the weather and any other aspects of nature they are able to manipulate. At the same time, pain and suffering from nature sometimes overcome society’s constraints on them. Perhaps the most important conflict in the novel is that of man vs. himself, or Jonas’s struggle to do what he thinks is best for society. Having grown up believing that his society was perfect, Jonas’s decision to leave the society and release all of the memories takes considerable courage. Various man vs. man conflicts appear in the book as well, including The Giver’s conflict with Jonas when he transmits some of the memories, as well as Jonas’s minor conflict with his father over whether Gabriel should be released. Taking away people’s choices will not make them happier. Memories are important and make us who we are. You cannot truly feel pleasure without true pain. 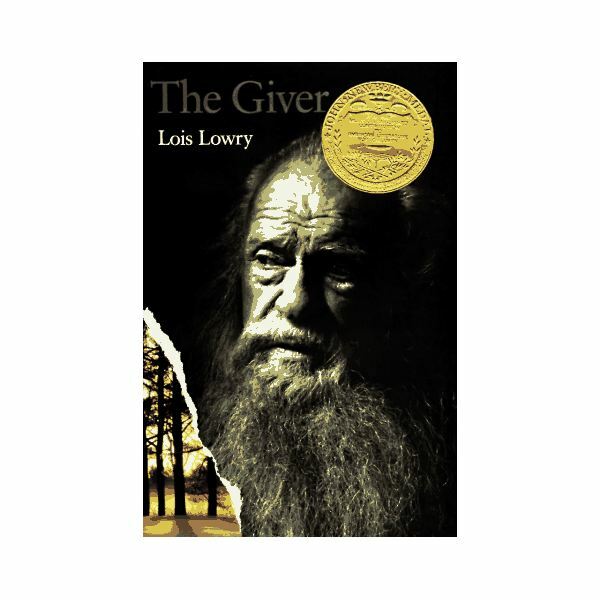 These literary elements of “The Giver" serve as the backbone of the novel, and Lois Lowry crafts her story around these important elements. If you’re reading Lowry’s utopian classic, take a look at these articles on “The Giver.” Novel it may be, but it can also provoke thought and discussion.